EP 032: Sue Pinky Benson shares how branding with video in HUGE! 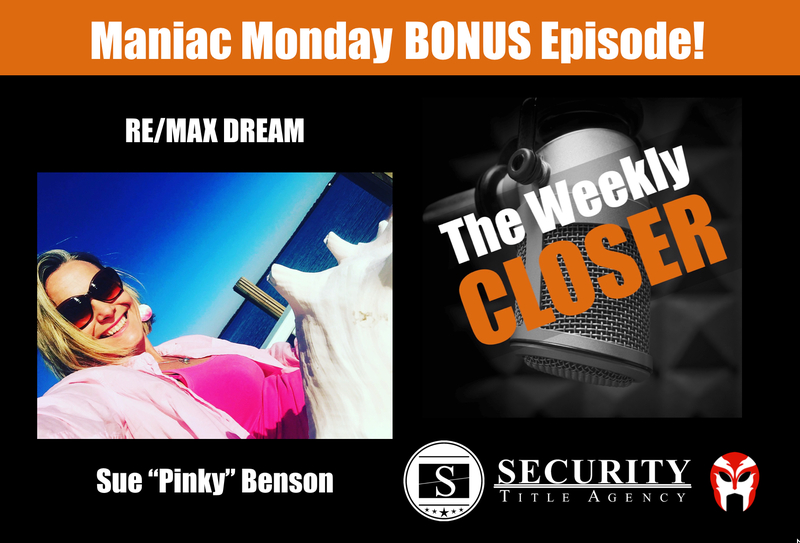 BONUS Episode: Sue “Pinky” Benson joins The Weekly Closer from Naples, Florida to share how she is building a brand using Facebook LIVE Video and Instagram! Her brand, ‘Pinky Knows Naples’, is starting to grow in that market. Pinky has only been in this particular market for less than 2 years and has only been building her brand for less than 18 months. This is a must listen episode for any agent who wants to get PUMPED UP to use video to grow your business! !